The first few holiday items went quick, and doing the ones with CC (Candy Cane) rewards in the Timed Goals, they're free or even generate a profit. The rest are a little pricey. 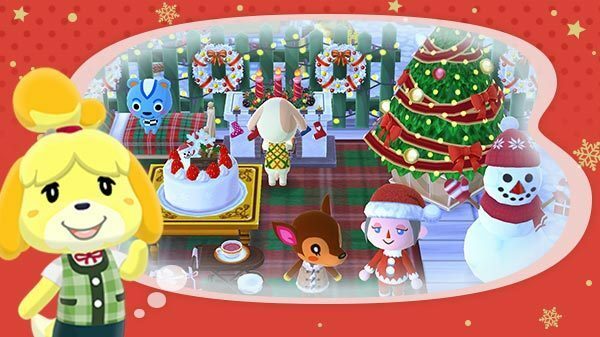 Every day between the quarry and a few rounds of animal requests I make about 100 CC, so I should have all the holiday items by the 6th. Someone playing more casually should still get there by the end of the month. Feature requests filed with Nintendo (More->Misc->Customer Support->Feedback): Market Box Search: Search all friends' market boxes for a specific item, and see a list sorted by unit price ascending. Sort Inventory: A button to sort clothes and furnishings A-Z instead of date-added. Breezy Hollow, the orchard area, has no reason to revisit it except when fruit resets every 3 hours. The other 3 harvest areas all have 2 fruit trees and fish/bugs, so Breezy Hollow should have 2 bug spots. Who knows if some English feature requests are even going to make it to the dev staff, but better than just complaining to the blog. I've been thinking about the need for chat. It'd be nice to give feedback on camps beyond a Kudo (which for the daily goals is often just "first in the friend list"). Ideally we could just see our friends' Miitomo accounts and go chat there, it's been dead quiet for a year. But then I think of Nintendo's Disney-like purity goals and remember Randy Farmer's BlockChat post. So I'm pondering ways to share a URL with items, say with letter/number shirts in the camper. … Sadly Pocket Camp doesn't have a usable axe, so I can't put on a Santa suit and reenact a holiday movie. Build all of the level 1 tents ASAP, they don't have to be displayed to increase the max level of that style's animals, everywhere in the world. Upgrade to level 2 when you have money, then level 3 when you have a lot of time (when you sleep, for instance). I foolishly only did Cool and Cute level 1 first, then went ahead on Cool level 2 & 3, and had several Sporty and Natural animals stuck at max level 7 for 12 hours. Don't ever vend (sell to the bank) any fruit or the uncommon (100 bell) fish or bugs. Animals will request those at higher levels, and pay 10x what the bank does. If you have too many, put them in the Market Box at a reasonable price, under 10x price so people can make a profit! I'm selling fruit & common shells for 40 bells each, uncommons for 400 each, and doing good business now. I vend most common bugs & fish down to 6 each, but sometimes put them in my Market Box. 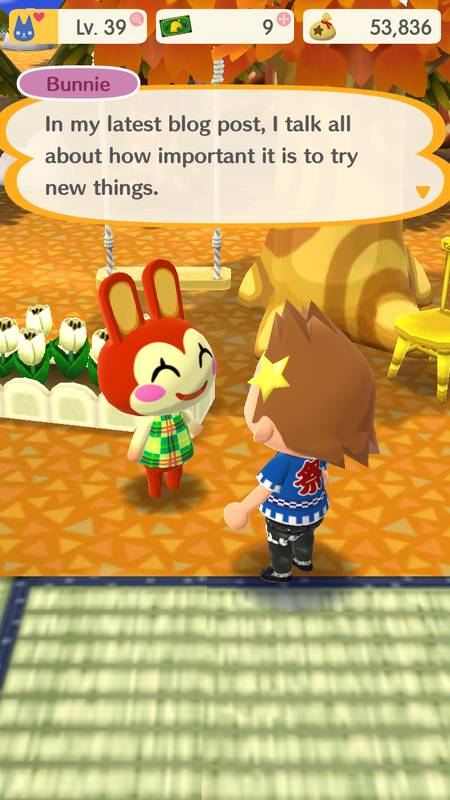 You can layout your nice furniture, and use Auto-Arrange when you finish an animal's invite quest, then Clean Up, and it'll restore your furniture layout. Do not sell furniture, multiple animals will request the same items. Hit the cat icon in your campsite to change who's stuck inside with you. I keep those who give good resources (Tex, Apollo) and leave out the ones I need to level faster. Check the Able Sisters market every 6 hours, it changes from Mabel selling shirts, to a skunk selling shoes, to Sabel selling pants and hats (is Labelle in here? I've not seen her). 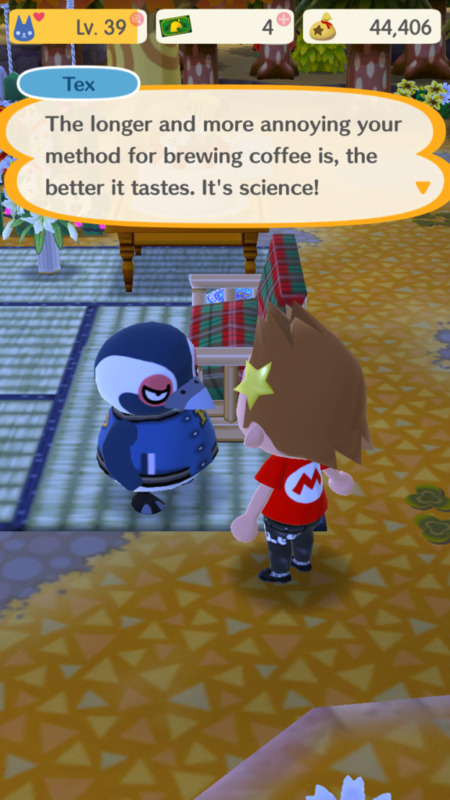 There's no dialogue story like in Wild World, where over the course of weeks or months you learn about their background. Check Timmy Nook's store for furniture you might need in a quest, far cheaper than crafting it. There's no furniture inventory limit AFAICT, shop till you drop! 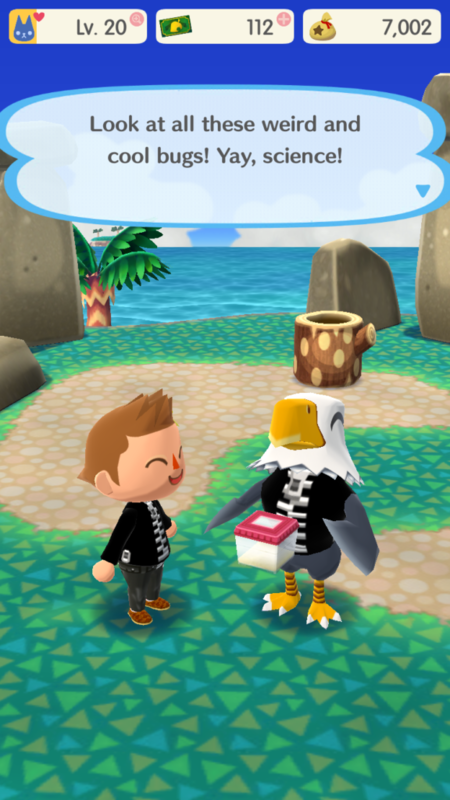 First thing in the morning, request help with the quarry from everyone on your friend list, and anytime you see a shovel icon by their name click in and Lend a Hand; you get 10 or 100 bells when they use it. Once you get 5 friends to help you, wait for a resource you want to be focused, it changes every hour. Don't waste leaves on the quarry, it's just a little cash and a stack of up to 10 resources. Shake all the non-fruit trees, one a day will drop a bag of 100-1000 bells. I always log out in my camper, so the area outside will be reset when I come back. In which Filbert realizes he's in a Shoney's, and this is all a simulation. I've spent 8-12 hours in the last 24 hours playing Animal Crossing: Pocket Camp. Not good for productivity, but eh, launch day and sorta holiday break. Once you get every active NPC's quests done and get all the fruit, which doesn't take too long, all you can do for the next 3 hours is fish the ocean & collect shells, collect bugs, fish the river, repeat. So go get some work done instead. I can see a daily schedule built around AC:PC won't be too disruptive. The IAP is nothing to complain about. Every previous AC has always cost $40-60 AND been timer-based, grinding bells and rep with NPCs. 3-day timer on growing trees or harvesting fruit in Wild World was a pain. Having to talk to every NPC with the same pointless responses every day for a slim chance they'd tell you their birthday, or give you a gift. Check both stores every day for new items, buy them and sell back so they'd be in your catalog, because there was no other way to advance. That was the AC console & DS experience: SLOW. In AC:PC, I haven't spent a buck yet, it shows the timers (3 hours for most things), and shows XP and level meters. I'm now Level 16, and earned enough tickets in-game to unlock all 3 crafting slots and get K.K. 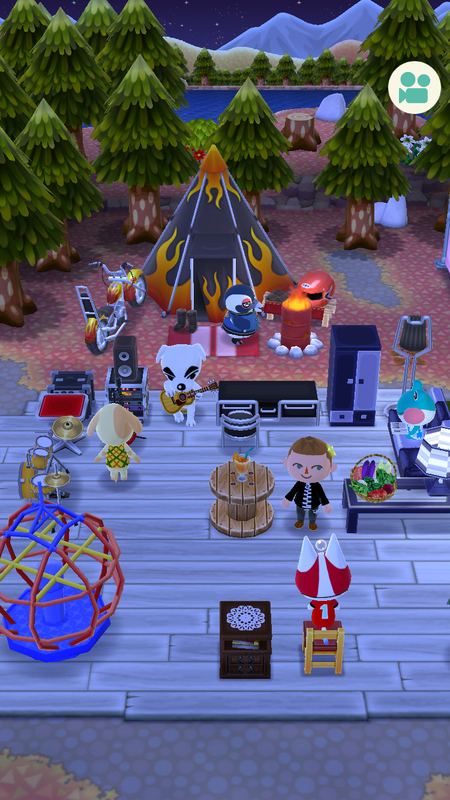 Slider to sit on his stool and play for me, got 8 NPCs in my camp, and I'm working on an advanced level 3 Cool Tent. The NPC crafted set requirements before they can be invited are getting familiar: 4 easy items and one super slow one, which would be annoying but I need the break. The premise is ridiculous, "I'd love to visit your camp… if you install exactly the furniture I want! ", but it drives you to gather resources and do stuff. Good game mechanics don't have to make sense. Clothing is very limited. IIRC, AC:WW had 9 or 12 items per day, plus your custom clothing patterns. AC:PC has 3 every 6 hours, and so far all I've got are a few shirts and hats, no new pants or shoes. I'm very disappointed by the Abel sisters this go around, but crafted clothing is "coming", someday, somehow. Expanding the camper like a house is possible (I now somehow have a loft with a ladder in my VW hippie bus), and a nice easter egg (people have to go into your camper to see it), but you can't switch between multiple custom paint jobs, it costs 5000 bells each time; so I bought the 8000 bell camo job, which at least costs me nothing to restore. Only thing I can't unlock is the Shovelstone Quarry, I need 5 friends to "assist", and even tho I've friended and requested help from the 6 random mostly-Japanese players who show up in my world, it hasn't unlocked yet, but I'm not spending 20 tickets on it! Check the craft time before hitting OK! You can't cancel an item! Always do orange chat options first, they have rewards. Someone please put some stuff up for sale, I want the buyer cheev. 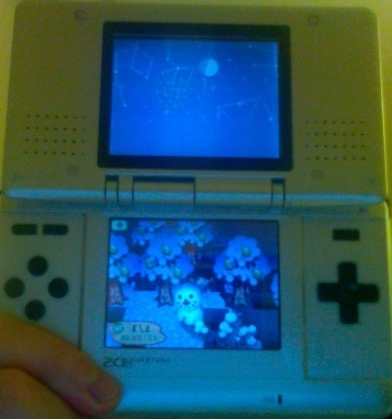 On December, 2005, Animal Crossing: Wild World (AC:WW) came out for the Nintendo DS, I immediately got it, created a town called Yama, and played at least 15 minutes, often hours, every day for years. 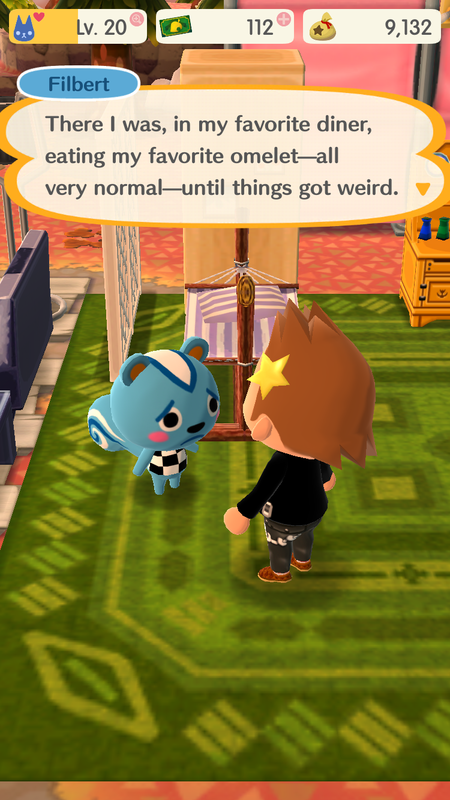 I finally got to the point where my house was maxed out, filled with trophies, mail storage was being used for excess items, I had every K.K.Slider song, most of my town was covered with tree farms, flower farms, or stickers to make roads (and force digging holes to be in specific areas). I was spending too much time in Yama, and couldn't stop checking it every day, so around 2008 I deleted my town, I couldn't break the habit any other way. I still miss Yama. Now Animal Crossing Pocket Camp (AC:PC) is out on iOS, and I can see I'll have the same problem eventually, but for now it's nice to have anything like it back. It's a little frustrating at first, being forced to do tutorials with no freedom of action; I'm of the theory that a game should have chargen, and then you're loose in the world. If you want tutorials or information, leave NPCs or books around, but don't make the player tap on a person or box to progress. 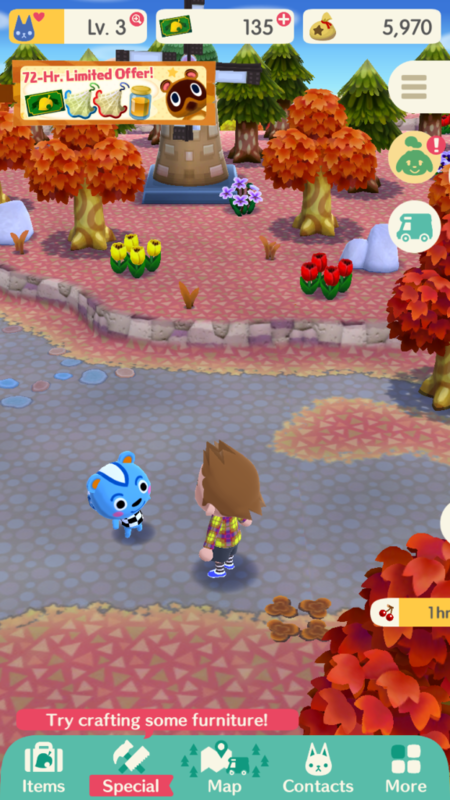 The IAP doesn't seem too aggressive in this, I know I could buy "leaf tickets" (and I have to have them, to get K.K.Slider and Tom Nook for my camp), but I'm building them up at some pace in-game. 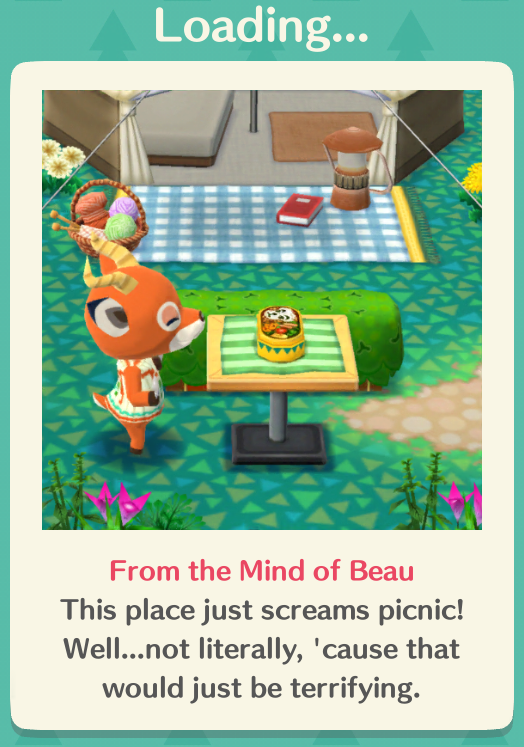 The camp is much smaller than a town or expanded house, and I don't like the outdoors theme and hippie bus as much as AC:WW, and you can't alter other camps. There's a really annoying siren wail when you're dragging items around, it's piercing and the least Nintendo-like sound I've ever heard; I'm going to try to file a bug report if they have any way to do that. 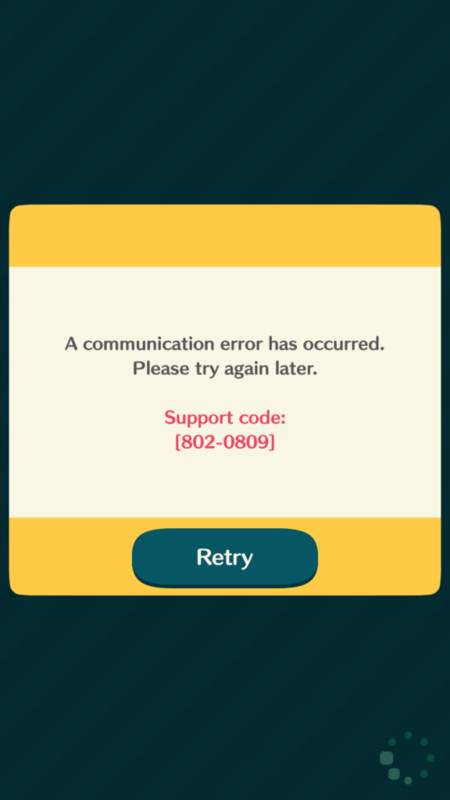 As usual, Nintendo has never heard of scaling servers, and I'm getting constant errors, which will only get worse as more of the world wakes up and starts playing today.